In various places of the preference menu, you may input commands. 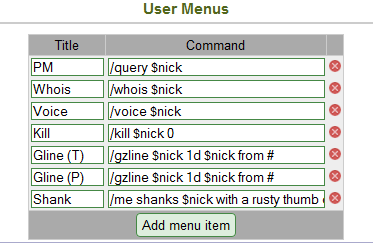 These places are the command column of aliases, the command colum of fiters, and the various User Menus sections. Basically, you end a command with a pipe key and start a command with a forward slash. You may have zero, one, or many commands in each command input. This page was last modified on 28 March 2011, at 12:22.